And we’re riled. But in a good way. 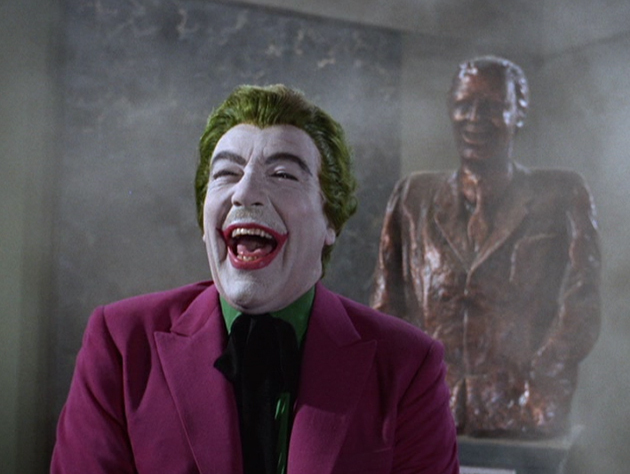 It took me a long time before I came to fully appreciate Cesar Romero’s Joker. 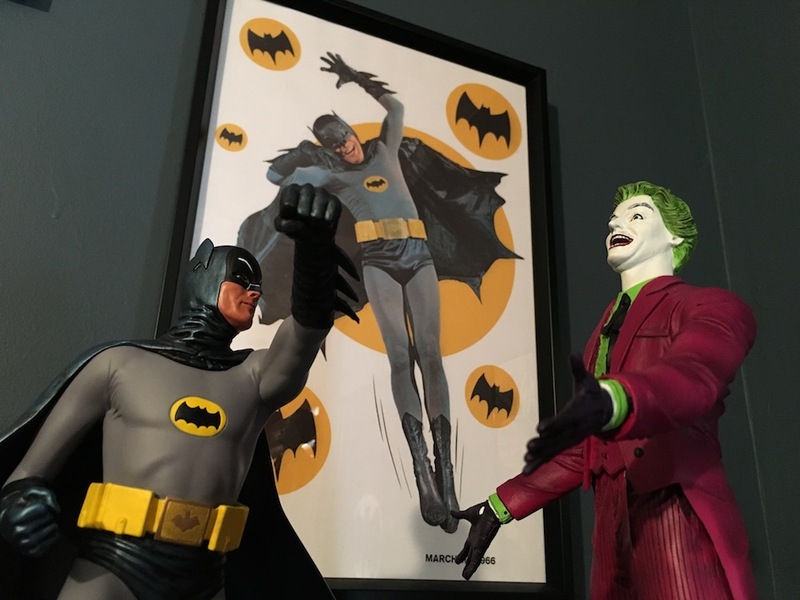 As a kid, he was just another part of the Batman TV show and movie, not as cool as the Riddler or as charismatic as Catwoman. But man do I get it now. Romero’s Joker is a sheer tour de force of showmanship, hysterically funny and wildly entertaining. His bratty petulance, which turns some people off, is worthy of a snort-laugh as I sit on the couch taking in his escapades. 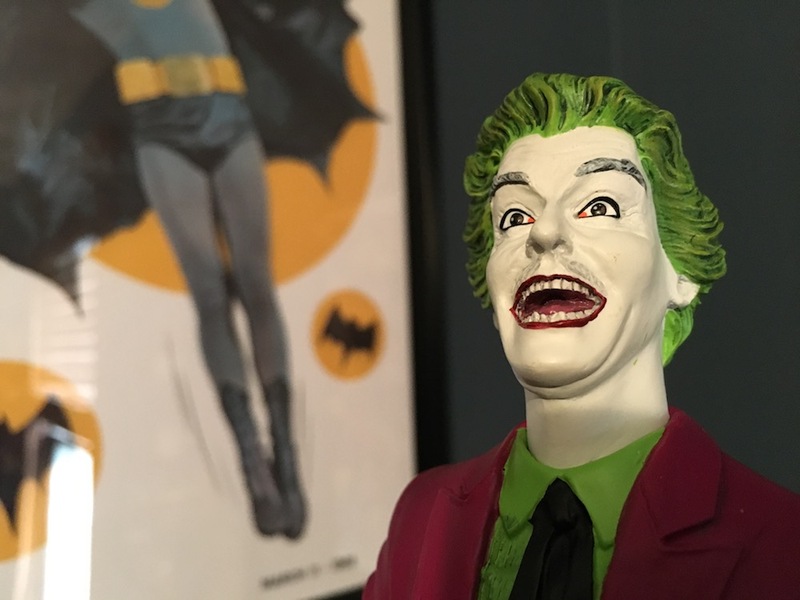 So if you’re going to turn such a showy role into a static figure, it’s important that you get that attitude down — and Diamond Select puts a premium on it in its new resin statue out 5/31. 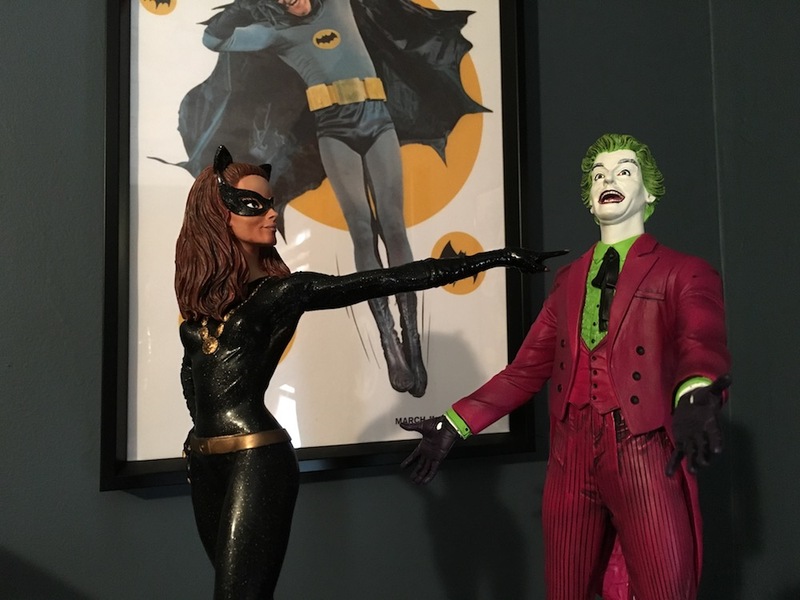 This piece, sculpted by Jean St. Jean, is the company’s fourth 1/6-scale statue in the Batman ’66 line — following Batman, Batgirl and Julie Newmar Catwoman — and it’s a fine addition to the set. Romero was so demonstrative as the Joker that his posture and pose are crucial. Here, I can hear Romero exhorting, “W.C. Fields, come! 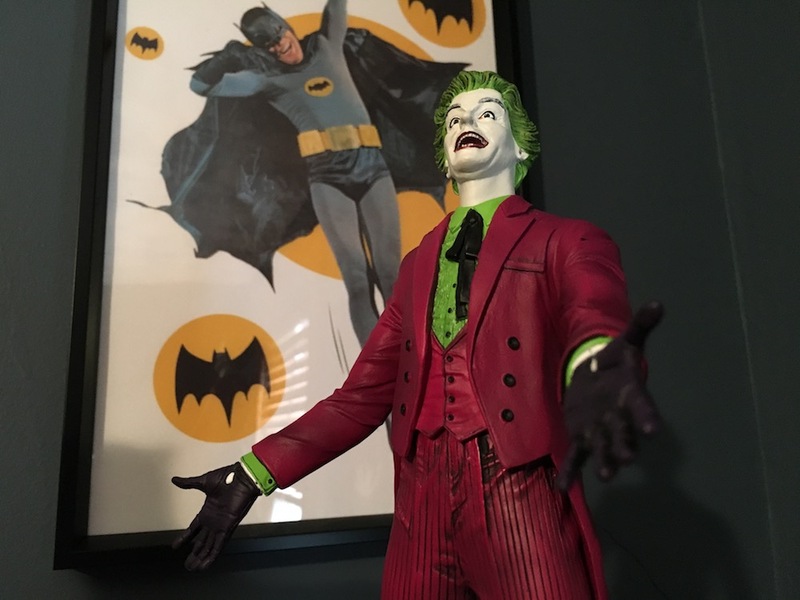 Come!” as he does in his debut episode The Joker is Wild. The detail work is superb, down to the frills on his green tuxedo shirt and stitchwork on the back of his tails. Even Romero’s less than perfect orthodontia is on display. 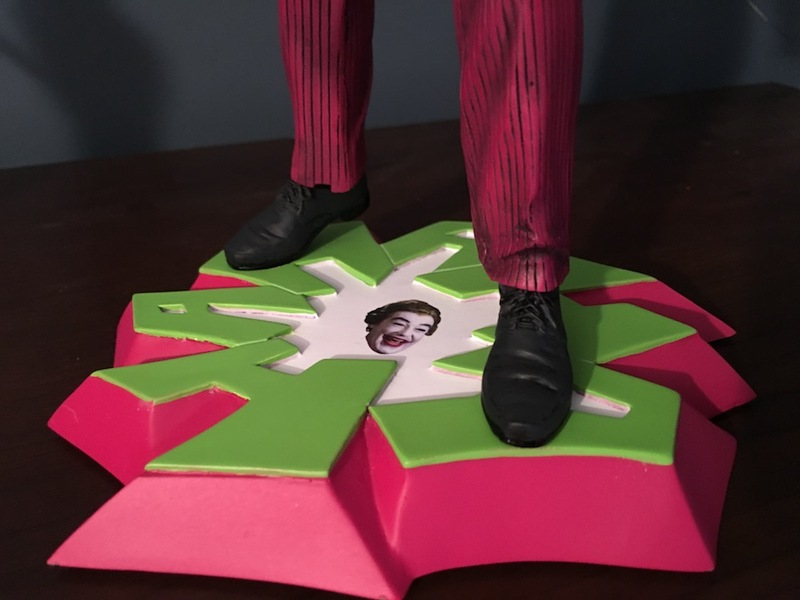 I also like the creative liberty taken with the base, which features Romero’s face surrounded by a stylized HA HA HA. So, we know Robin is next. (Click here.) But Diamond Select hasn’t said yet whether there will be more in the series. 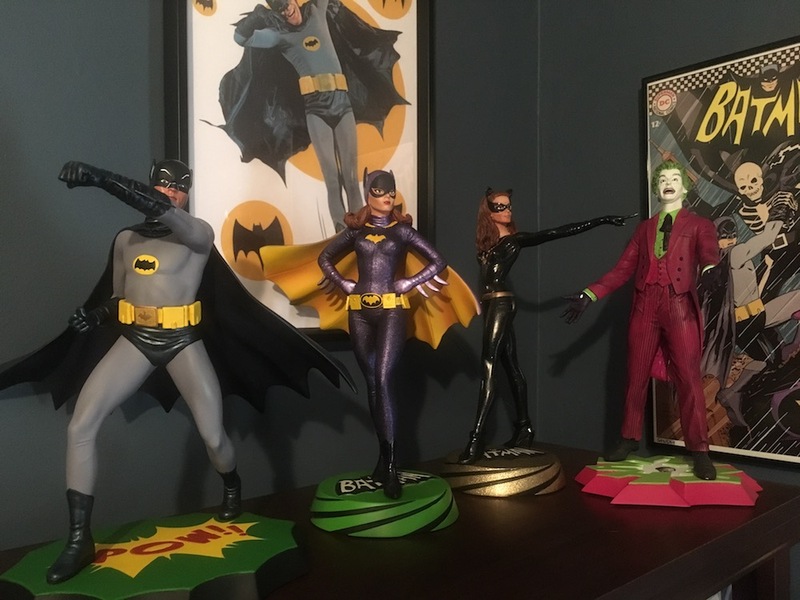 The are at least two more busts to come — Bookworm and Eartha Kitt Catwoman, but that may be it on that front. 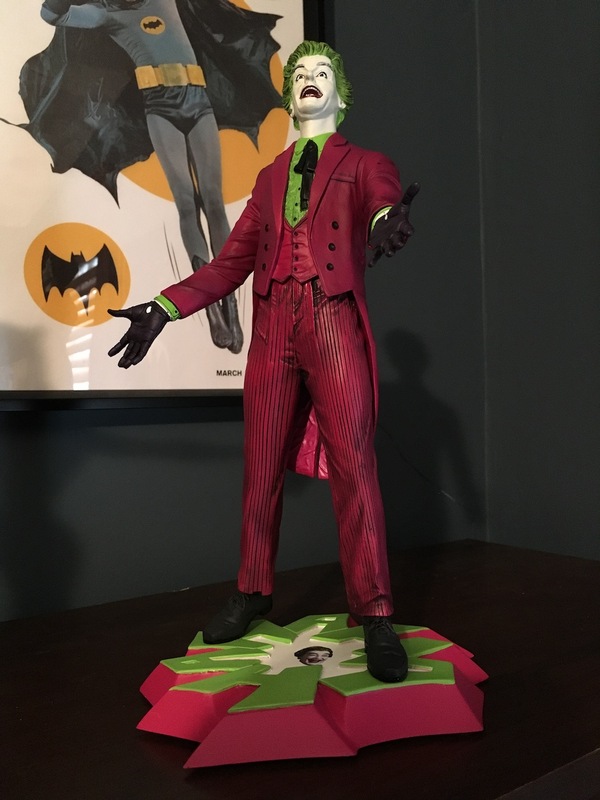 Here’s hoping we still get Riddler and Penguin statues. Because as good as this line has been, it won’t be complete until those bad guys join the fun. There is a Bookworm and no Riddler? Now, I’m one of the ones who loved Bookworm. Thought he was a fun villain and he had a great theme that Nelson Riddle composed for him. And, I like Roddy McDowall. 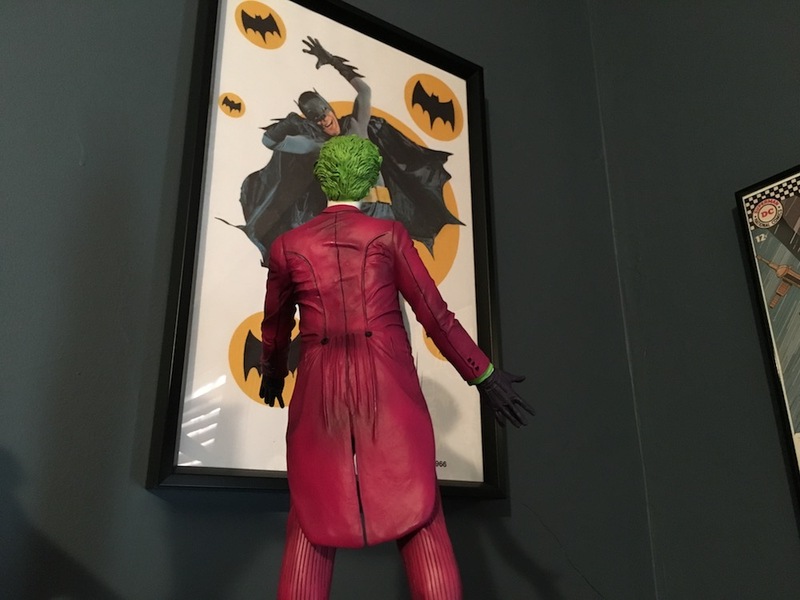 But, again, what’s the deal with the no respect for Riddler? You can’t tell me they’re not going to do one for him. 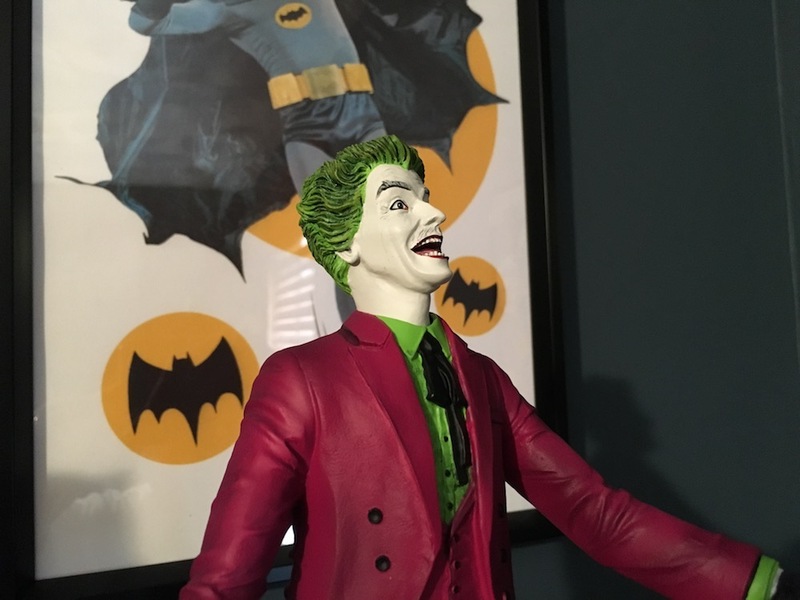 There is a Riddler bust. And a Bookworm bust coming soon. There isn’t a statue for either yet. At least not in this line. A fine piece of art… yet in no way does it capture Romero… despite the mustache.